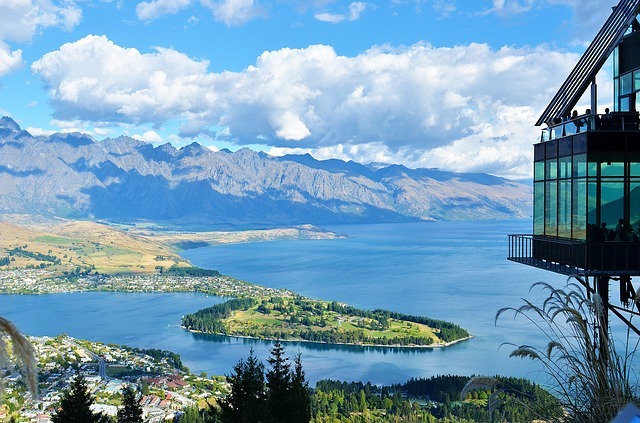 If you are looking for a truly adventurous trip abroad then look no further than New Zealand, a country whose name has become synonymous with adrenaline fueled activities and ultimate experiences. Not only is New Zealand one of the World’s most visually beautiful countries in the World, think lush green fields, rugged terrain and sprawling canyons, it also knows how to have fun with many of the World’s most insane activities being born and perfected there. Today we’re going to take a look at some of the best activities that you can look forward to on a trip to New Zealand and exactly why you should be doing them. With many of the activities that you can do in New Zealand, you can also do them anywhere in the World, the difference here is that nobody does these activities quite like the New Zealanders and bungee jumping is no different. New Zealand is the home of the bungee jump and to do it in style you should go to Queenstown, the country’s highest jump or for an altogether different style, head to the Waikato River for a jump that will genuinely make you think that you’re going to hit the water head first and perish, true fun lies in near death adventures. This is offered in many different parts of New Zealand but for the ultimate jet boat experience you should head to the rivers of Queenstown close to Lake Taupo’s monstrous Huka Falls. Once you’re on one of these high powered boats you will be taken across the river at breakneck speeds, negotiating turns and rocks, experiencing 360 spins at speed and bracing for your life as the boat lifts up from the water before crashing down again. Jet boating is not for the faint of heart and you will need to have nerves of steel to take it on. The ultimate in all action adventures is canyoning, with a guide you will walk, crawl, scramble, climb, abseil and jump through some of New Zealand’s wildest canyons and rivers. You can find canyoning spots around many of the big cities like Auckland and Canterbury and you ill usually be picked up by your guide before being driven to some of the country’s most isolated spots. Here you will get your gear on and set off on one of the greatest adventures of your life. Expect to get scared, wet and ridiculously excited as you make your way through these treacherous canyons. These are just my top 3 picks for what there is on offer in this awesome part of the World, almost everywhere that you go in New Zealand you will be presented with activities to do. The country is filled with walking trails, huge lakes where you can sail, canoe and row and large mountain ranges that you can climb, fly over and explore, there truly is nowhere else in the World like New Zealand when it comes to adventures and if you’re looking for a vacation that is packed with excitement then this is the country for you.